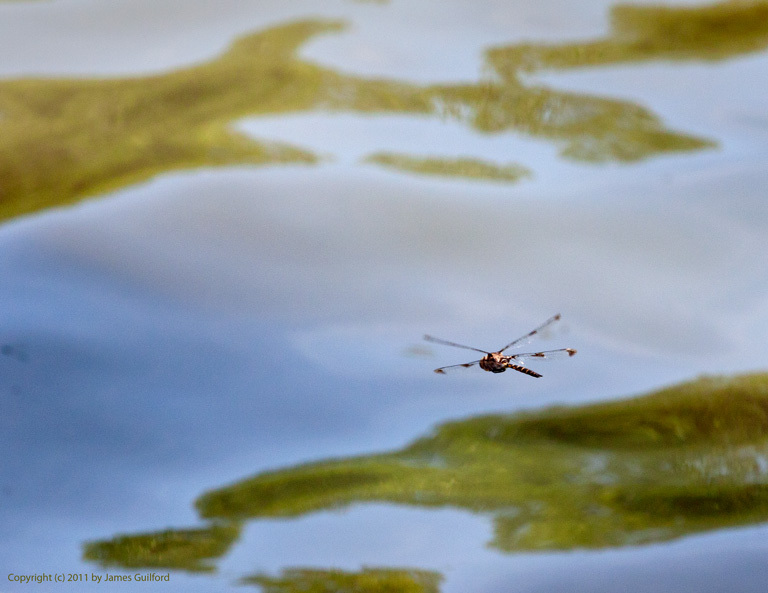 A dragonfly captured in flight is not an easy catch! After dropping our cat off for a brief hospital stay, I stopped by Hinckley Lake for a hike and another effort at dragonfly photography. I was quite disappointed with my efforts on Sunday, coming way from that session with only a couple of acceptable pictures. So I walked the entire circumference of the lake stopping now and again to shoot images as opportunities arose. It wasn’t until I’d nearly completed the walk –about three-quarters of the way around– that I began to see a few dragonflies. I photographed one that perched for a while on a leaf of grass. Others stayed out of reach — too small and too far away for me to image properly. I noticed a large, dark variety liked to fly in figure-eight patterns in set territories and it occurred to me to try and capture dragonflies in flight. What the heck, it’s digital so I’m not wasting film! So I tried and tried and deleted a good number of blank or blurred frames in the field. What I got back, however, was astonishing to me and of better quality than I managed shooting still-life insects Sunday! 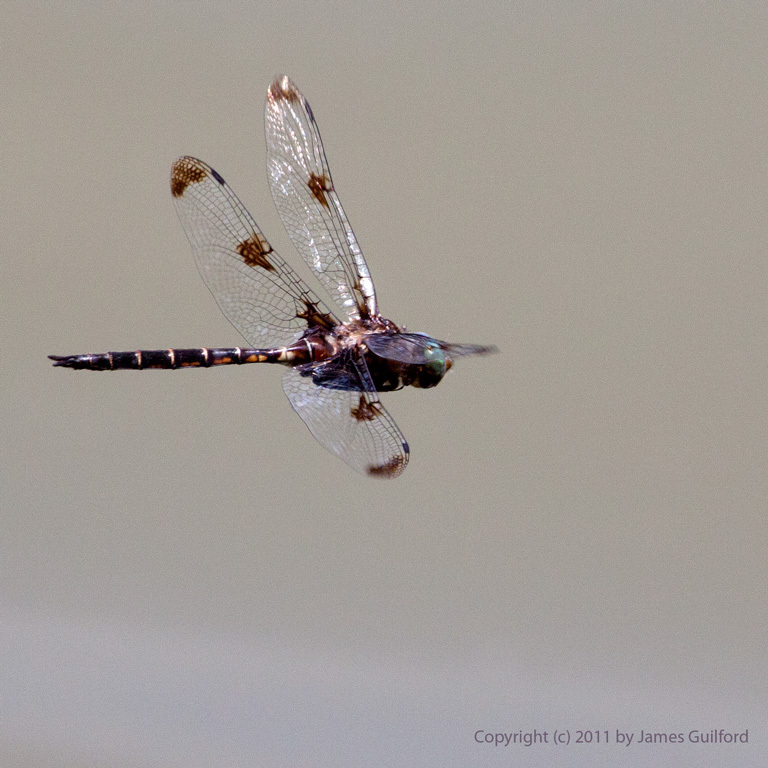 Dragonfly in flight over the waters of Hinckley Lake resembles an unusual aircraft over an ocean coastline. Thanks! Pretty pleased with the first efforts; it will be fun to see where future efforts take me.